Have you ever wondered why we arrive at some decisions so much quicker than others? We are constantly making judgements and processing information. As our brain is carrying out these mental processes it is looking for ways to simplify the processes. As a result, we may take mental shortcuts that lead us down the wrong path. These are known as cognitive biases and come from our unconscious conditioning and tendency to make assumptions instead of gathering all the information. 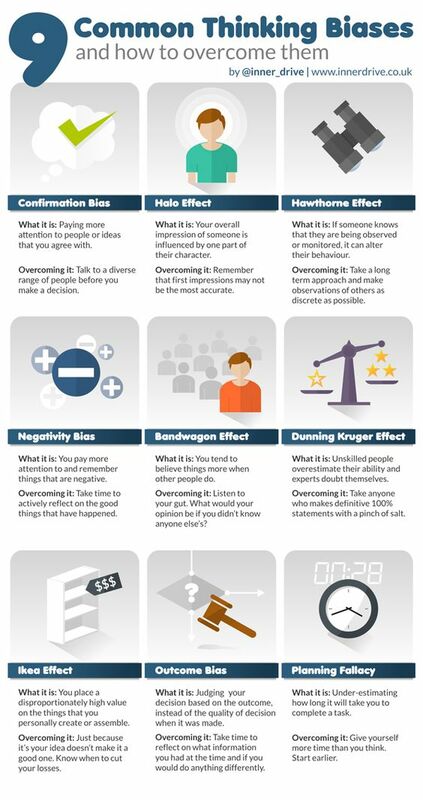 This infographic takes a quick look at nine common thinking biases, what they mean, and how they can cause you to make bad decisions . 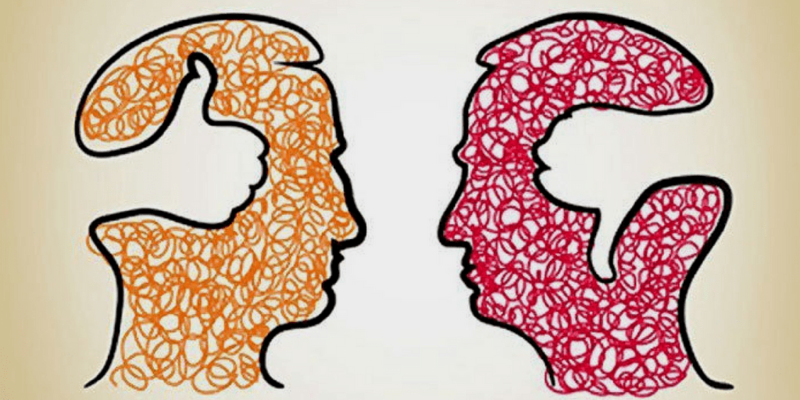 At one point or another, we’ve all been guilty of some type of cognitive bias. While it’s impossible to completely avoid cognitive biases, it is possible to understand what they are. Once we are more aware of them, we can make an effort to try to overcome them by adjusting our thinking; starting with taking the time to give something greater consideration, and slowing down our decision-making process to gather the facts. Stay tuned to my next post to learn more about a few of these cognitive biases and how they may impact your decisions in retirement.